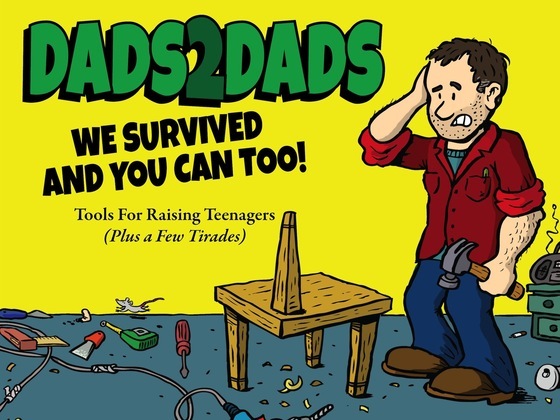 Tom and Bill’s new book Dads2Dads: Tools for Raising Teenagers is now available. Read it for practical perspectives from two regular dads who have survived the minefields of raising teens. Filled with chapters on The Clueless Dad, The Connecting Dad, The Learning Dad, The Family Dad, The Modeling Dad, The Teaching Dad, and The Better Dad, complete with exercises to try at home, this book offers practical advice from dads who have negotiated the long and winding road to parental success.